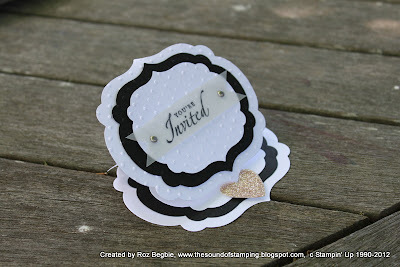 I have been asked by a good friend to make invitations for her son's upcoming wedding. 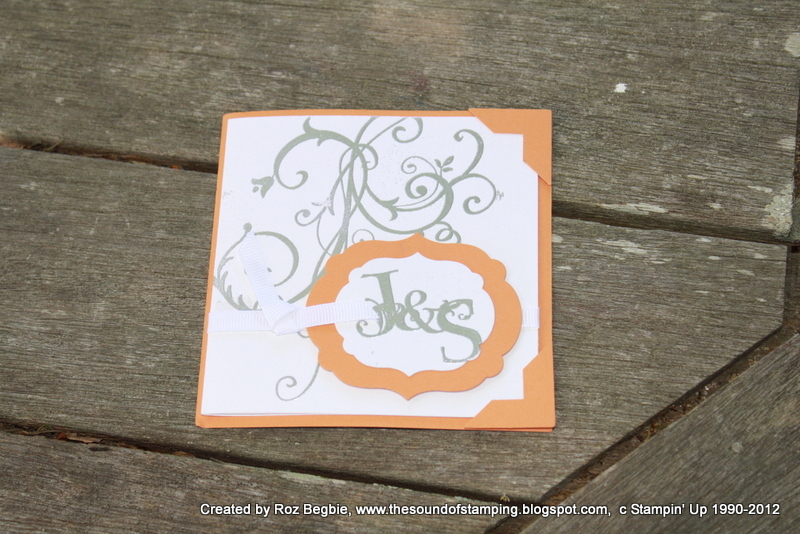 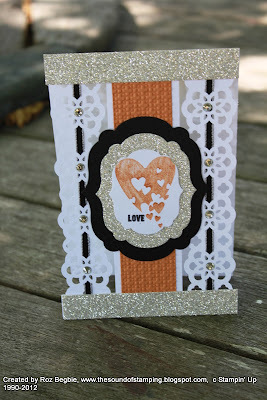 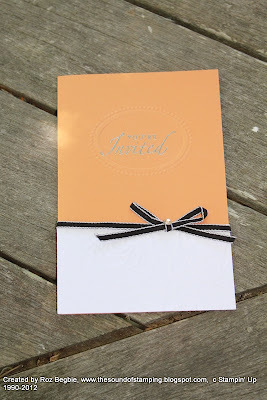 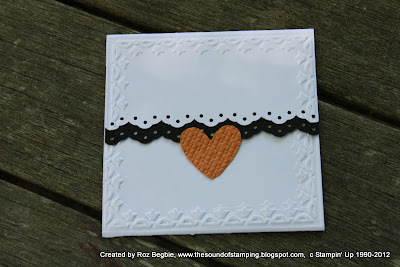 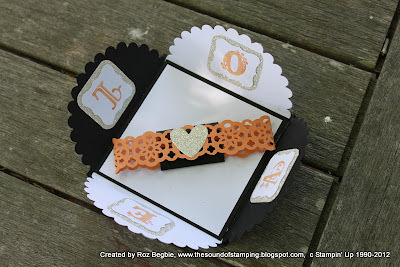 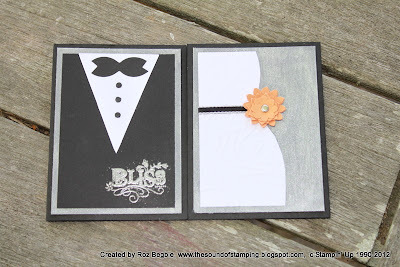 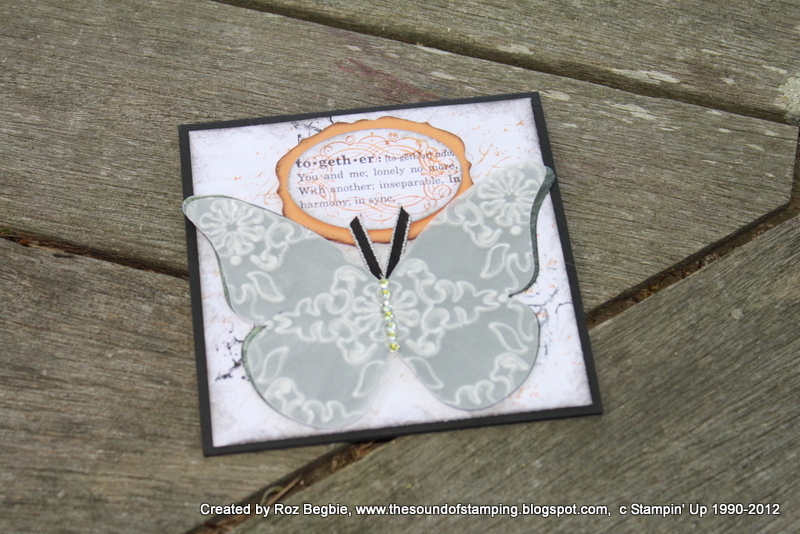 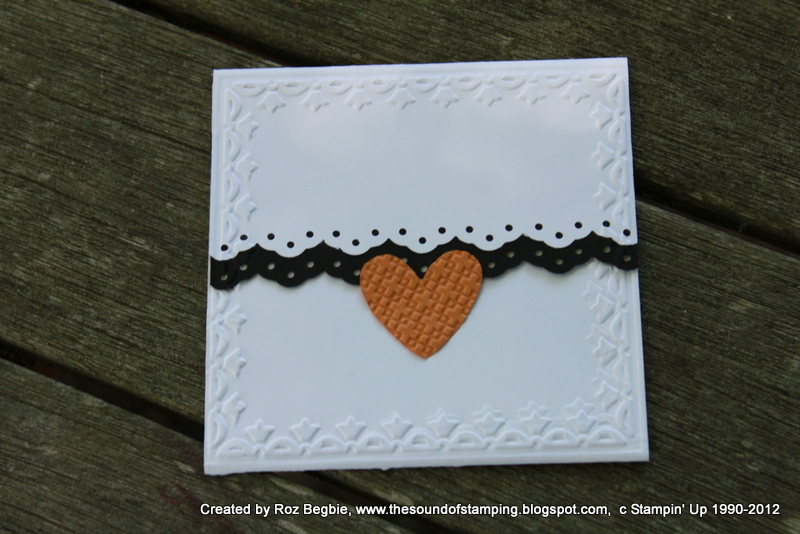 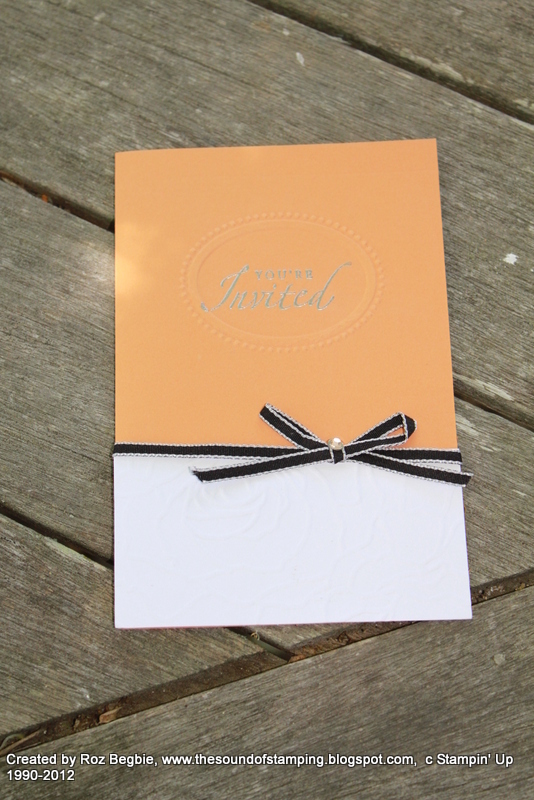 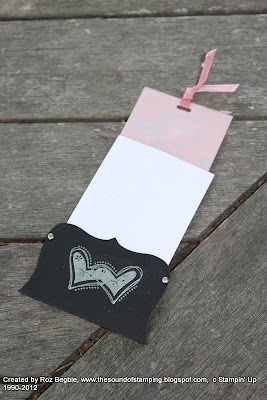 I created some samples using their chosen colours of pale orange, black, white and silver. 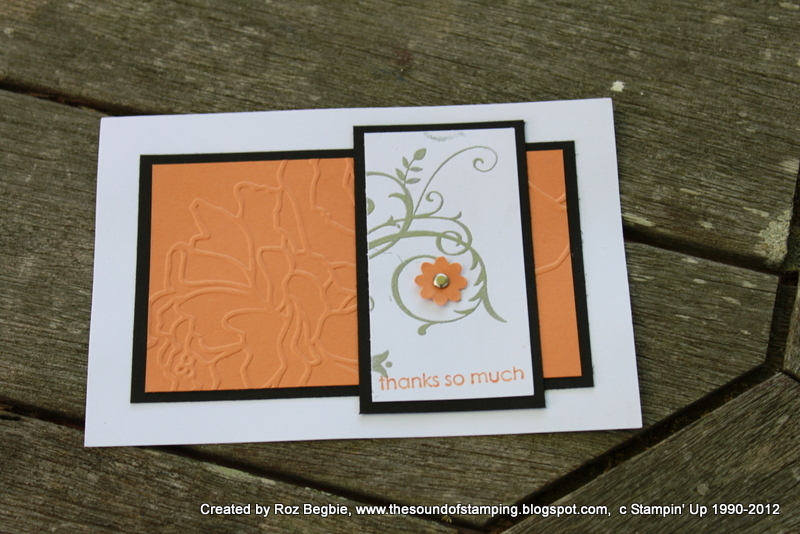 The main colour I used for the orange was Peach Parfait which is now retired. 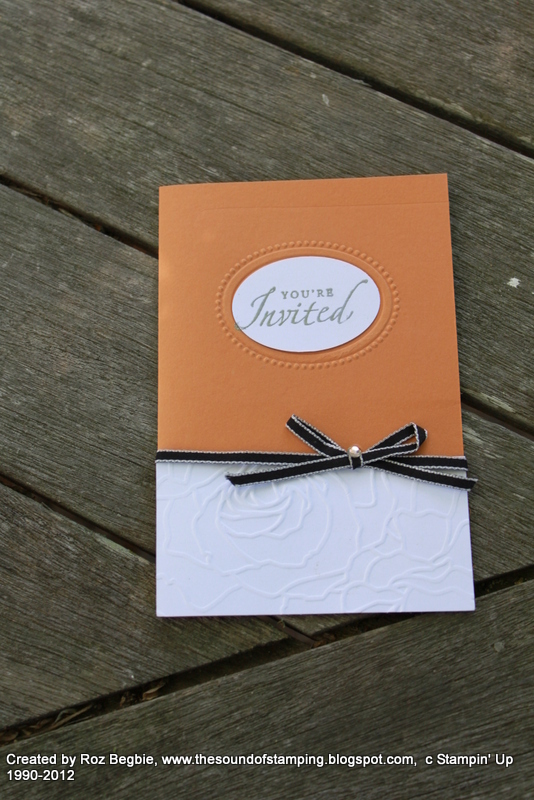 We will have to find a suitable alternative once we've confirmed the layout. 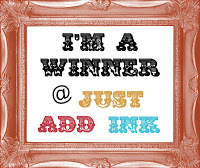 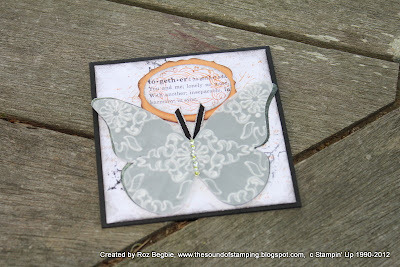 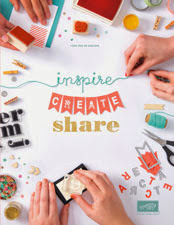 I won't list all the stamp sets or punches etc I've used as some are retired now but I hope you enjoyed what I created!